CNH Industrial N.V. (NYSE: CNHI / MI: CNHI) announced today that it has entered into a definitive agreement to acquire substantially all of the assets of precision spraying equipment manufacturer Miller-St. Nazianz, Inc. (“Miller). 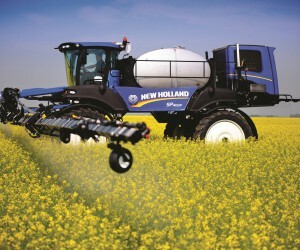 The assets of Miller acquired as part of the transaction will become part of New Holland Agriculture, a CNH Industrial brand, building on a successful four year manufacturing and distribution partnership between New Holland and Miller in North America that has seen strong acceptance of a differentiated and best-in-class front boom self-propelled sprayer offering. “New Holland will bring Miller’s proven product portfolio directly into our family for further worldwide distribution which will expand crop production sales in the key markets of the United States, Canada, Australia, South Africa, Eastern Europe and beyond,” said Carlo Lambro, Brand President of New Holland Agriculture. Headquartered in St. Nazianz, Wisconsin, U.S., Miller was founded as a hardware retailer in 1899. Miller has expanded through five generations of family management to become a leading innovator of front boom sprayers. One of the most used pieces of equipment on a farm today, sprayers operate through crop fields to distribute fertilizers and pesticides in the form of droplets. Miller’s manufacturing facilities and 260 employees are supported by a worldwide distribution network. “We thank the Millers for their innovation and partnership these past years and look forward to welcoming their dealers and employees to the New Holland and CNH Industrial family of companies,” said Abe Hughes, Vice President of New Holland North America. “Their products have been a welcome addition to our crop production offering and we intend to further innovate and develop this important product line in the years to come to continue offering the smart solutions and innovations for which New Holland has been known for nearly 120 years,” he added. 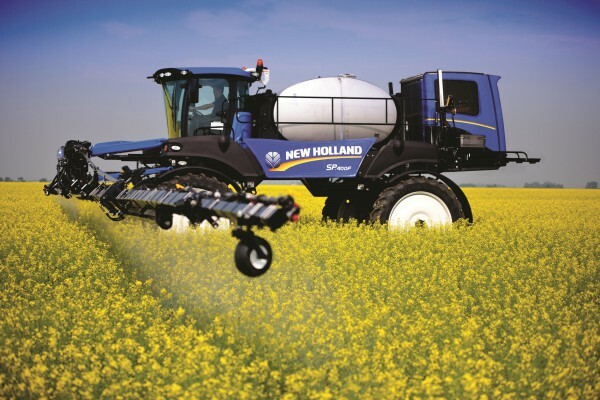 The Miller acquisition defines a new chapter for New Holland’s commitment to the professional and broad acreage segment of the agricultural industry and provides a strong platform to grow the self-propelled sprayer business on a global scale. Under the terms of the agreement, CNH Industrial N.V., through its wholly owned subsidiary CNH America, LLC, will acquire Miller’s business in its entirety. The agreement is subject to customary closing conditions, including the expiration or termination of the waiting period under the Hart-Scott-Rodino Antitrust Improvements Act of 1976, as amended, with the goal of closing before the end of the year.